Special thanks to Benjamin Pezzillo of https://pactriglo.com/ for providing this summary and original document. Recently passed Senate Bill 1069 is a move to help ease California’s housing crisis, making “granny units” easier and less expensive to build throughout the state. 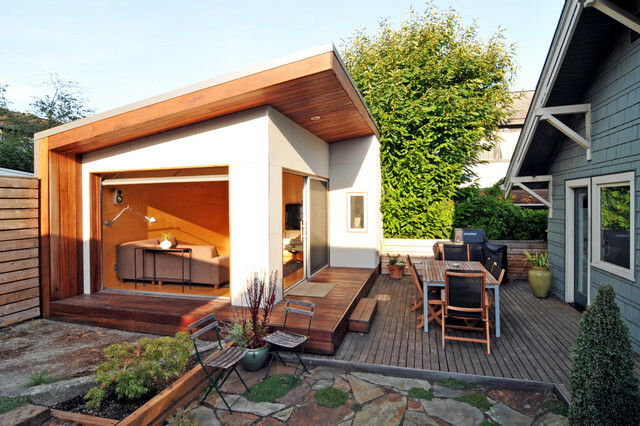 The new Accessory Dwelling Units (ADUs) can potentially save thousands of dollars in fees and permits. Under the new law, water and sewer agencies can no longer charge hookup fees for ADUs built within an existing house or an existing detached unit on the same lot. Local agencies also cannot impose parking rules for certain ADUs, including those located within a half-mile from public transit, or units that are part of an existing primary residence. 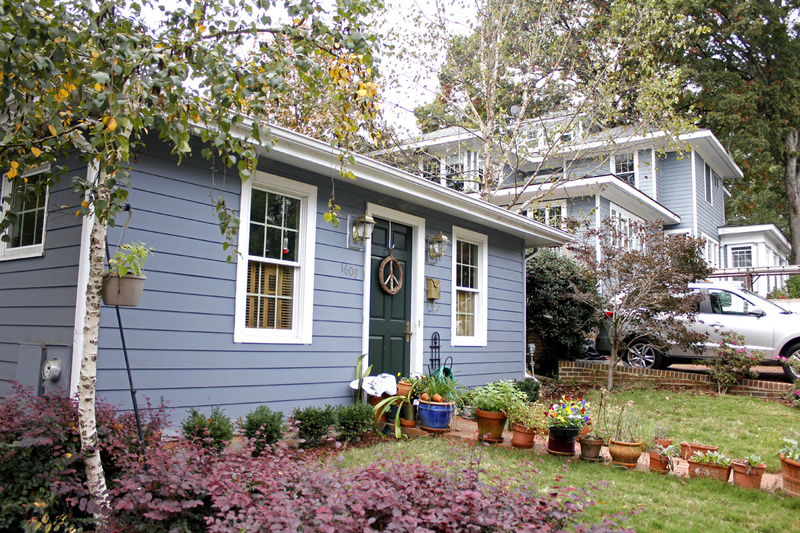 Second Dwelling Units are now being referred to as Accessory Dwelling Units (ADU). Local jurisdictions must allow ADUs on “any lot zoned for single-family or multifamily use that contains an existing, single-family dwelling”. 1) Detached ADUs are limited to a maximum size of 1,200 square feet. Limits on total residential floor area on a parcel apply and may limit the size of an ADU. For example, an existing 2,000 square foot SFR sits on a 6,000 square foot R1 parcel. Any ADU on that parcel will be limited to a maximum of 1,000 square feet because that sized parcel and zoning limits structure square footage to 3,000. 2) An attached ADU cannot be larger than the living area of the existing structure (excluding garages). 3) No passageways are required in conjunction with construction of an ADU. 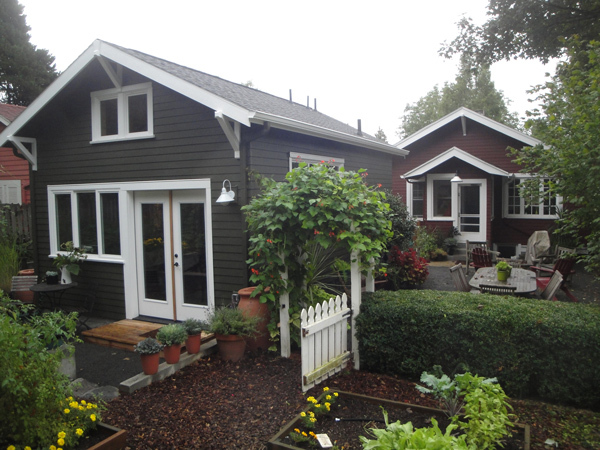 4) Detached ADUs are considered an “accessory building” and subject to setback requirements. 5) Converted garages do not require setbacks — including when existing space above or adjacent to a garage is converted. 6) Newly constructed ADUs above a garage require setbacks from side and rear parcel boundaries. The required setback is not more than five feet. The ADU can extend beyond the footprint of the garage as long as it maintains the five foot setback. 7) One parking spot is required for the ADU and may be tandem parking on an existing driveway. If a garage, carport, or covered parking is demolished in conjunction with construction of an ADU, the replacement parking spaces can be in any configuration. This includes uncovered spaces, tandem spaces, or mechanical automobile parking lifts complying with the required setbacks. 8) ADU parking is not required in any of the following instances: when the parcel is within one-half mile of public transit (e.g. Metro station or a regular bus stop); the parcel is in a HPOZ; the ADU is part of an existing structure; or when there is a car share vehicle within one block of the ADU (e.g. Zipcar). An ADU may be rented. However, the ADU cannot be intended for sale separate from the primary residence. All local building code requirements applicable to detached dwellings must be met. And, if otherwise required, local health officer approval is needed where a private sewage disposal system is being used. Accessory dwelling units, including backyard cottages and some studio apartments, are typically more affordable than market-rate rentals. We will be posting this information to the blog on https://pactriglo.com/ where you can also access our mapped database of 200,000 single-family parcels in the City of Los Angeles with room for a rentable ADU. To view the map, click on Beta in the upper right hand corner of the website, register with your email, and click on Beta again — you will be taken to a page with a link to the map.